The new stuff keeps on coming! 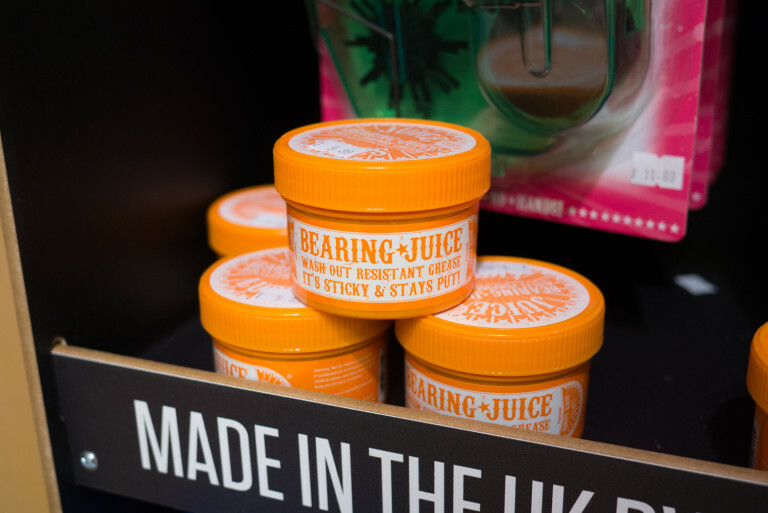 Intelligent cranks, smartphone screens, premium plastic pedals, wide rims, carbon rims, kids bikes, bum bone measuring devices, juices, lubes and innuendo aplenty. 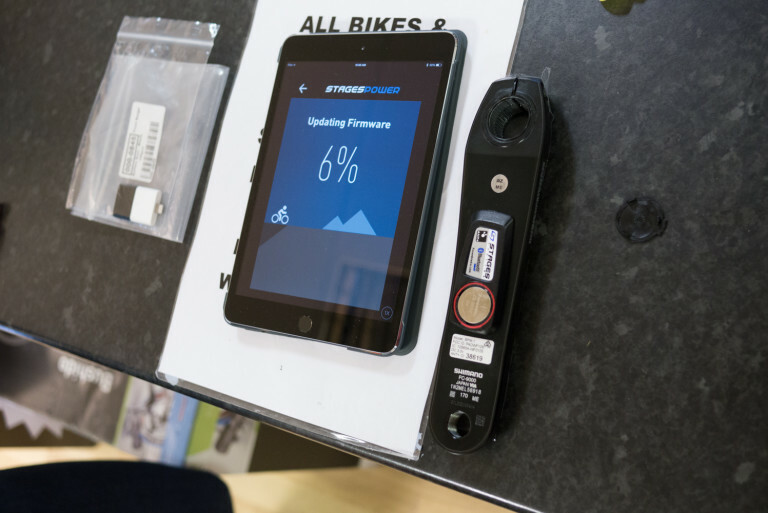 We’ve just had our entire stock of Stage power meters updated to have the latest firmware version inside them. We’ve also had the battery compartment doors all swapped out and replaced with the new version. Stages are always working away at improving their stuff, however slight the improvement might be. The guy in the middle is Mr Stages UK. He’s the chap who came round and updated all our stock and fiddled with battery compartment covers. 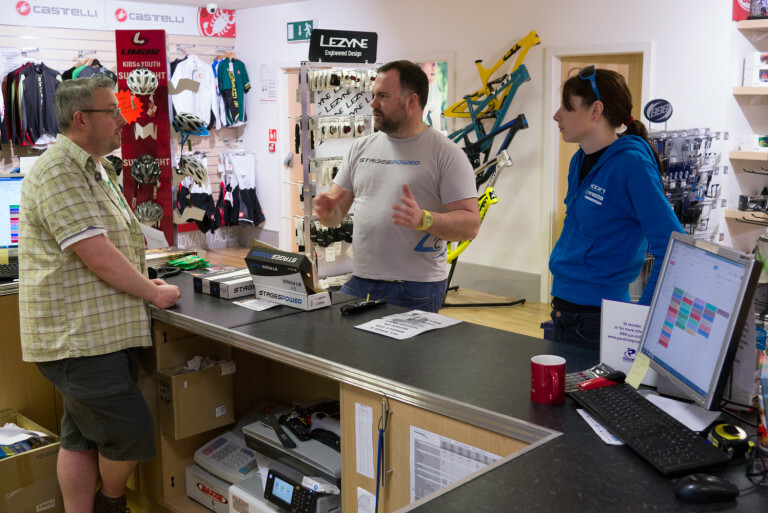 He somehow found time to talk to a few of us about the real geekery stuff that power meter purchasers sometimes want to know. Knowledge is power! “WTF is that?” some of you may be asking. Essnetially it’s a dinky screen that you can mount on your bars and it shows you info from your (stashed away) smartphone. Use Strava on your phone but also want to see a real-time display of your stats? This is for you. 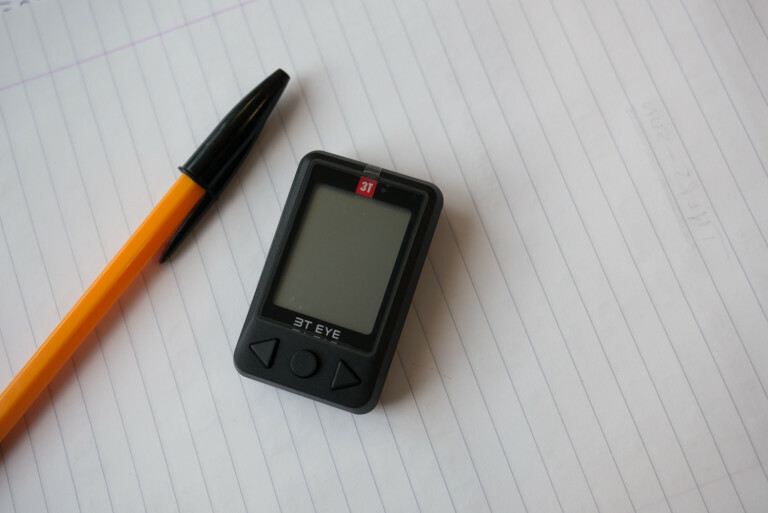 We wrote a more in-depth blog about the 3T Eye earlier this week. Plastic pedals have been around in the BMX world for quite a while now, it’s only fairly recently that mountain bikers have started to use them. 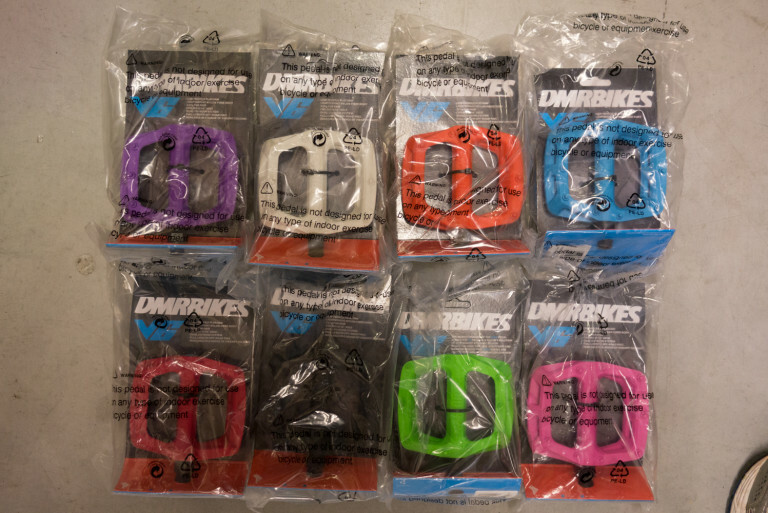 They’re light, stiff, surprisingly tough and offer the same level of grip as their similar-shaped metal cousins. These are DMR’s plastic version of their recently rejigged V8 design. 28mm wide. 32 hole. 445g. 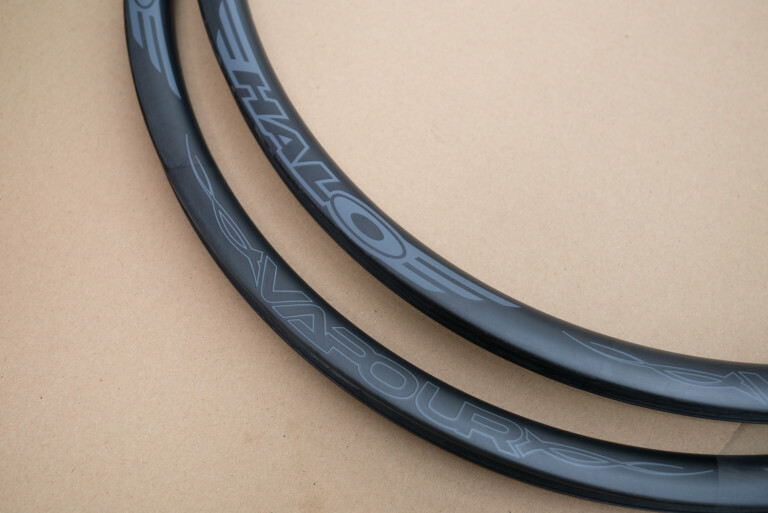 Can be run tubeless if you install some suitable tubeless rim tape and valves. 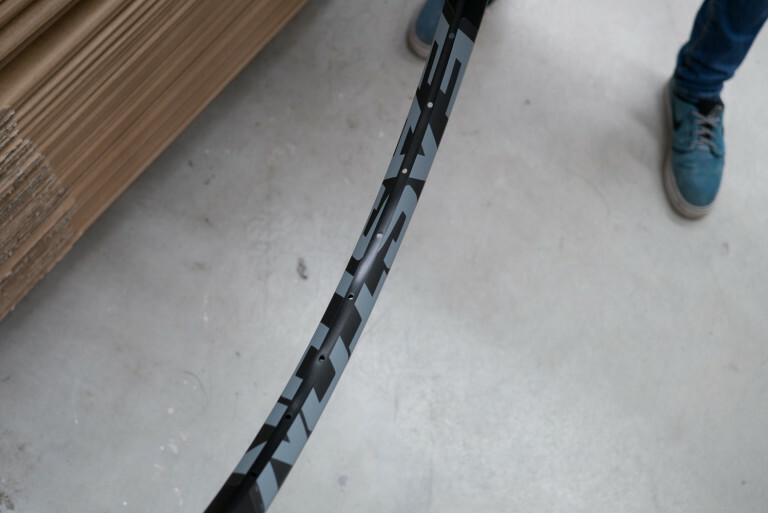 Ultra modern UD Carbon finish with subtle grey waterslide transfers, and satin clear coated. Less than half the price of other carbon rims. Be the ENVY of all your bargain hunting bike buddies! These aren’t available on their own. They’re only available as an option when you’re getting a custom built wheel from us. 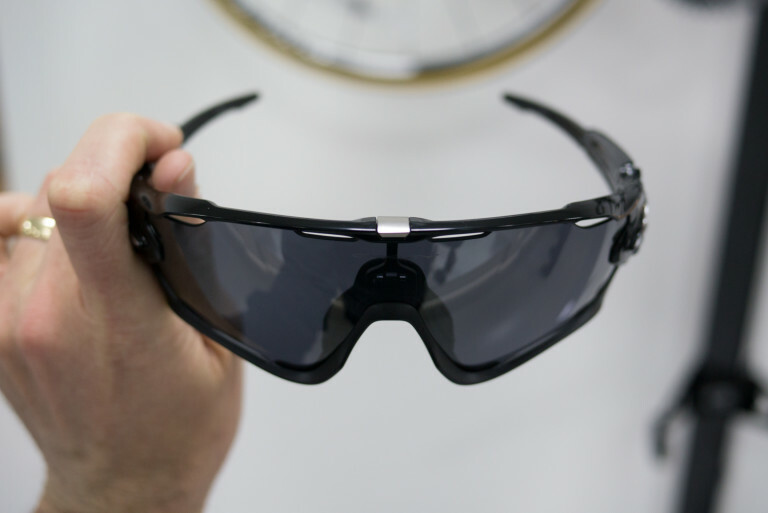 Well worth considering if you want to join the new breed of wide-rimmed riders. 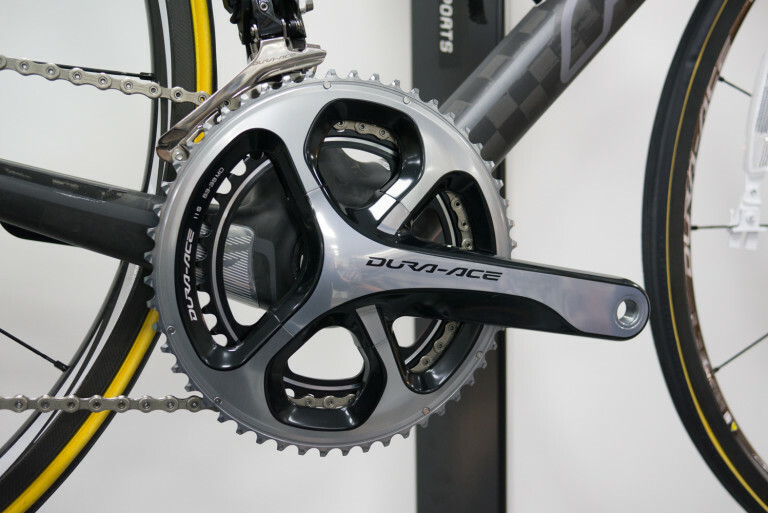 Yes, we know, this is more a picture of a Shimano Dura-Ace chainset. 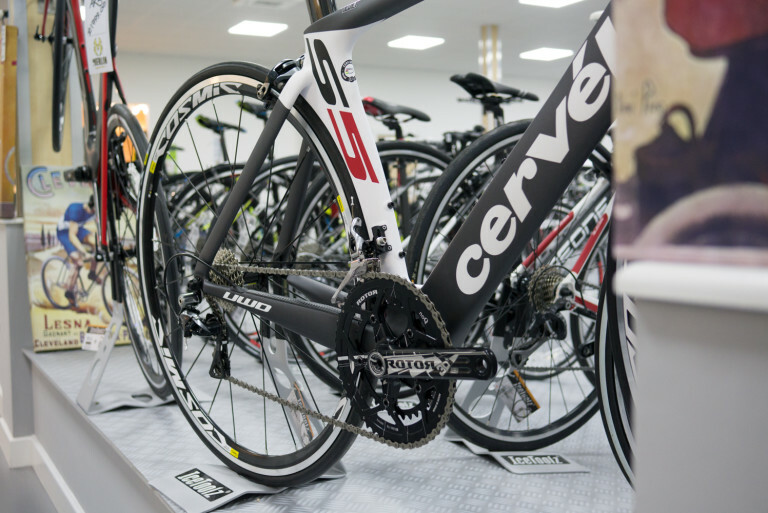 But we just thought it was a nice introduction to the super-stealthy yet super-bling Felt F FRD bike that we now have on display in the bike showroom. A carbon superbike with the world’s best road groupset on it. Not all 2015 Oakleys are wild flouro colours. Even the Mark Cavendish signature range Jawbreaker shades are available in black-black-grey. Not a new bike technically but one that’s just had a new price tag zip-tied on to it. Sub-£4k to own one of the fastest ‘normal’ road bikes on the planet. 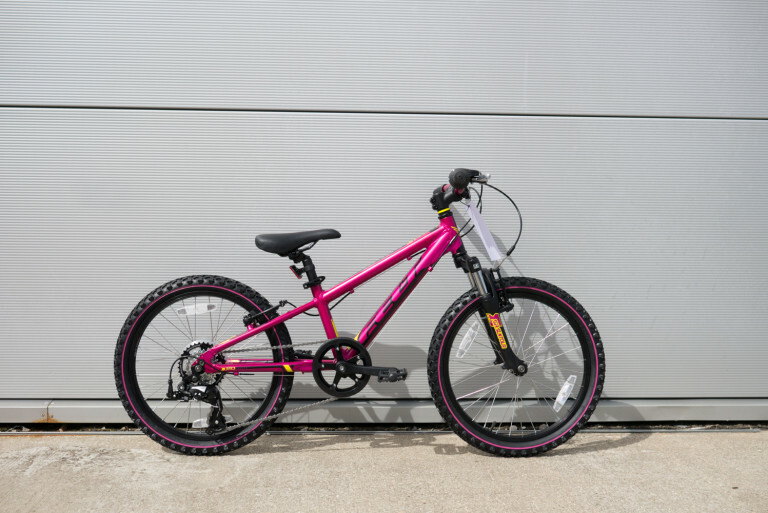 The Felt Q20S is a bike for pure kid sized adventure, be it a family ride or ramping it up along the trails with friends. The Q20S lightweight aluminium frame has been designed to optimise the smaller 20 inch wheel size with 7 Speed Shimano Shifters this bike is perfect for the budding MTB rider. A new toy to play with in the Merlin shop. 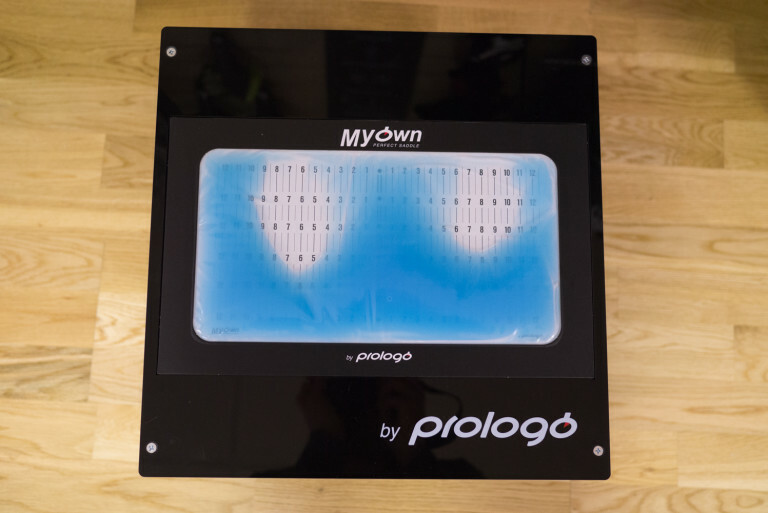 Sit on this gel-filled pad (in a ‘just so’ position) and you can find out what sort of saddle dimensions may suit you best. This throne also comes with an angle-measuring device to see how flexible your spine is when you put your palms flat on the floor. Again. this helps us to narrow down what saddle will suit you best. 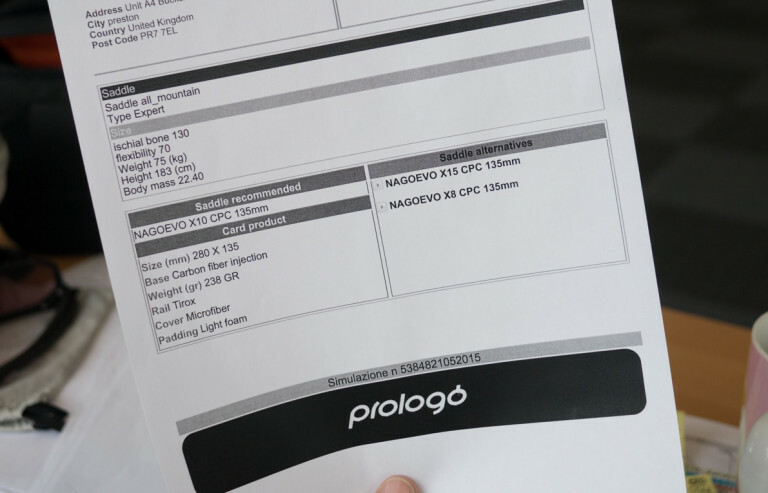 The info isn’t just restricted to selecting Prologo saddles by the way. And this is the printout after my my ‘examination’. There are three saddles recommended: one ‘winner’ and a couple of runners-up worth considering too. As we expected the Renthal bars have been flying out. 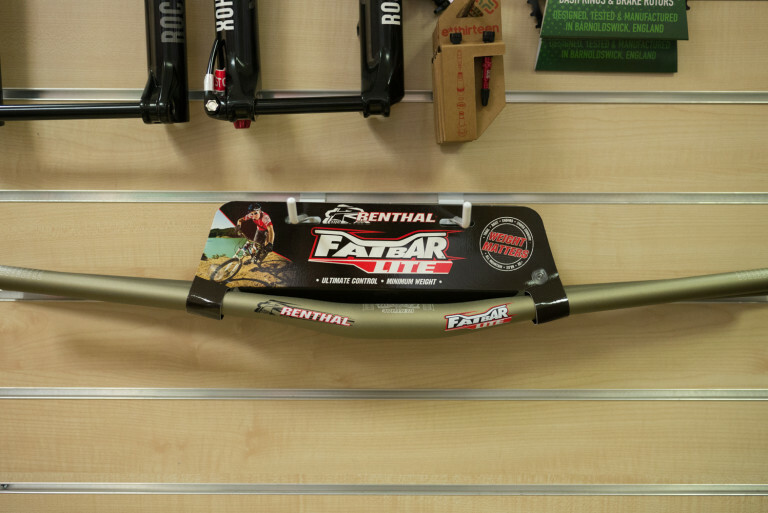 For riders who don’t want the full-on Fatbar there’s also a slightly narrower (740mm), significantly lighter (268g), Fatbar Lite version. More hand built wheels from Tony – our house-trained wheel builder. This is a wheel just being picked up by a customer. 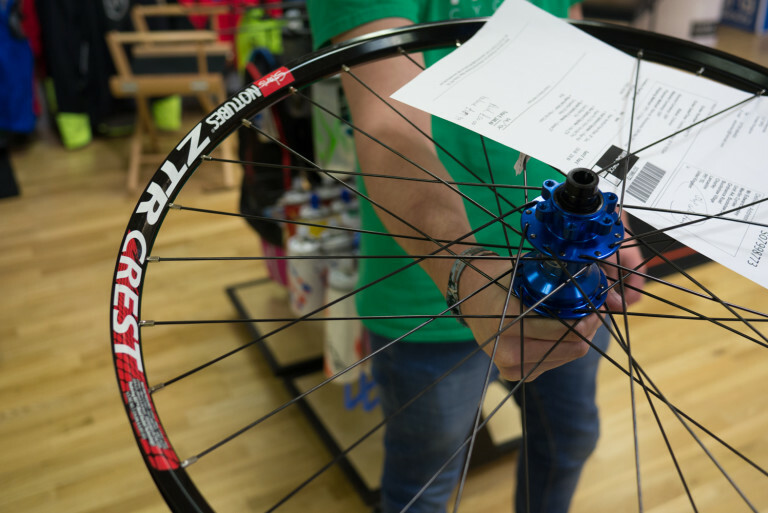 Blue Hope Pro Evo hub on a black Stans ZTR Crest rim. Nice choice sir. If you’re not into lubes, grease and general innuendo you may wish to leave Goods In at this point. Bye! 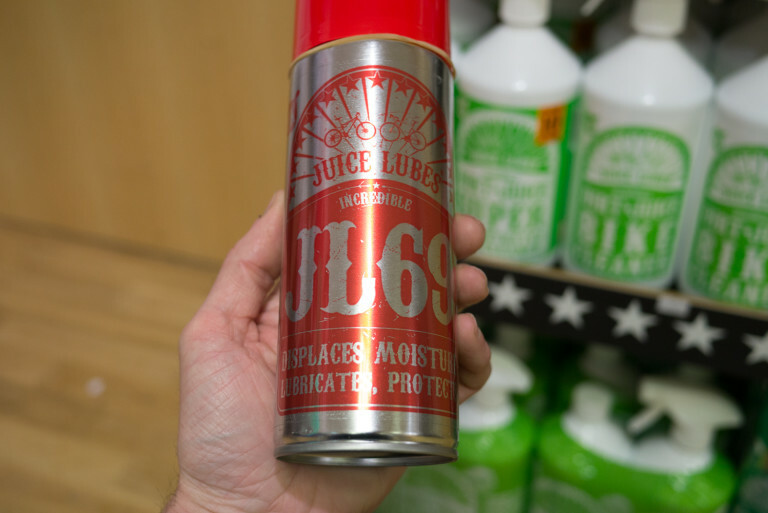 We’ve really been pleasantly surprised by how well Juice Lubes have sold in the past week or so. It feels like the general vibe is that folk are after a more polished product than traditional Fairy Liquid-esque chain oils. 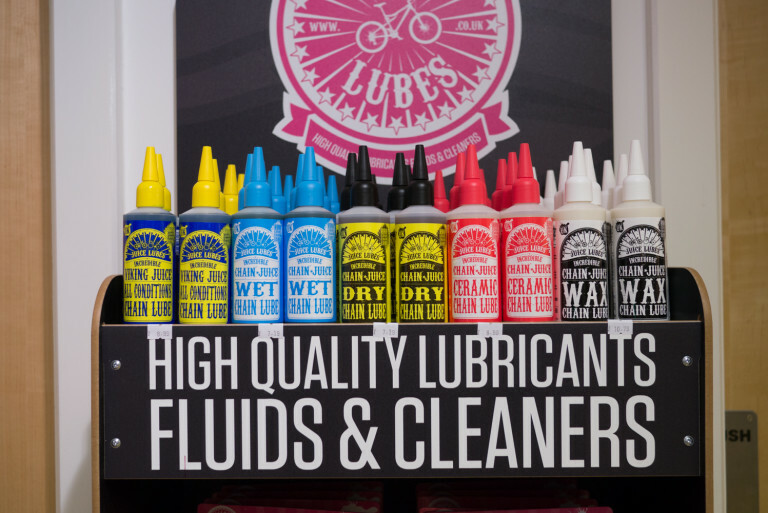 Juice Lubes have the best range of modern chain lubes available we reckon. Something for everyone. Perhaps the best thing you can do to your existing chain – before you put some decent lube on it – is to get ride of the old grimy mess that’s on it already. Fill up this compact cleaner with some degreaser and a few seconds later you’ll have a shiny chain again. A good old British grease for bad old British conditions. Sticky and durable. The tub is a nice orange colour. The grease inside is a nice pistachio green colour. Once you’ve finished getting the muck off your drivetrain you’ll need to get it off your hands. 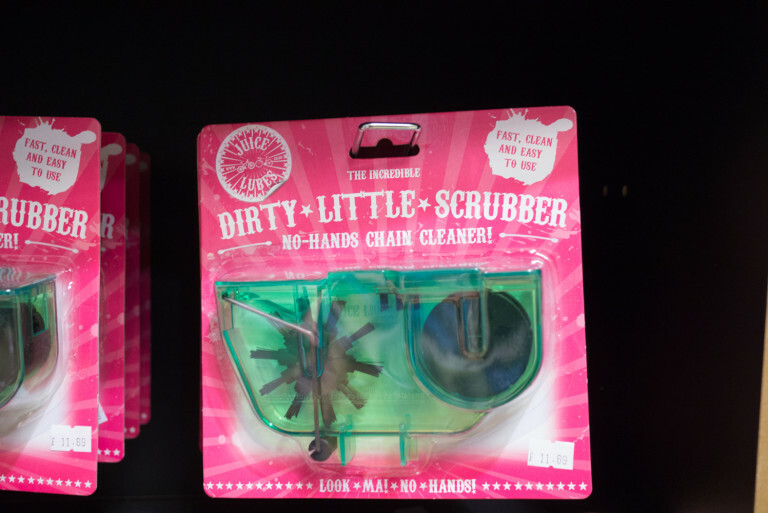 Yes, like the label says, it’s for those messy hand jobs. This stuff is actually very handy to have around the house, not just in your shed or garage. Yep, you guessed it. This is Juice Lubes’ version of the venerable old GT85. Displaces water and leaves behind a very light protecting film of lubrication. 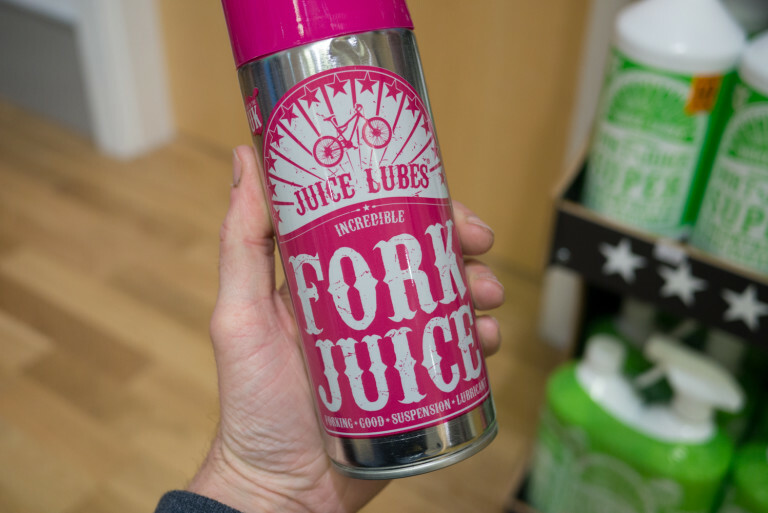 Fork Juice is where it all started for Juice Lubes and since releasing the product in 2009, tens of thousands of units have been sold to happy and now stiction-free riders, all over the world. It’s been much imitated since but is still the original and the best. Fork Juice suspension lube is a quick, easy, great value prevention or cure for stiction related suspension problems. 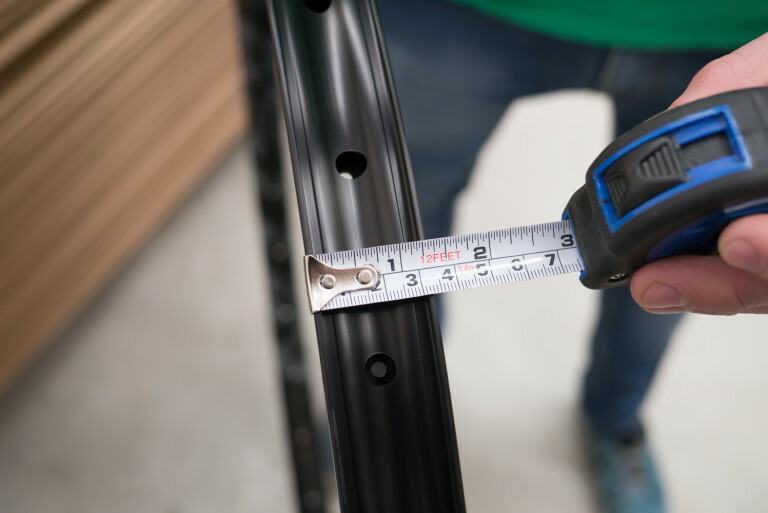 Reduces friction between stanchion and seals. Improves sensitivity over small bumps. Helps to prevent dirt sticking to the stanchion. 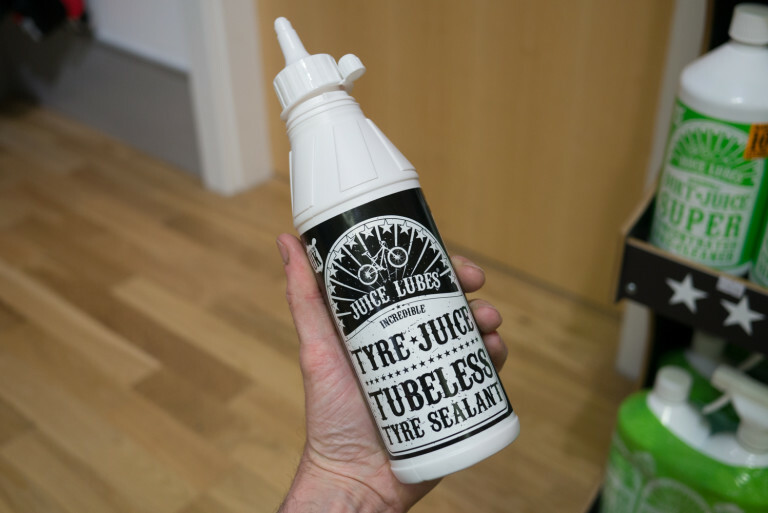 Tyre Juice is a premium quality, synthetic latex tyre sealant for use with all UST and Tubeless Systems. It forms a thin film around the inside of the tyre meaning that zero wheel imbalance is caused. Tagged 3t, cervelo, dmr, dura ace, easton, felt, goods in, halo, iphone, juice lubes, oakley, power meters, prologo, renthal, rims, Shimano, smartphone, stages, stans no tubes. Bookmark the permalink.